Step 1. 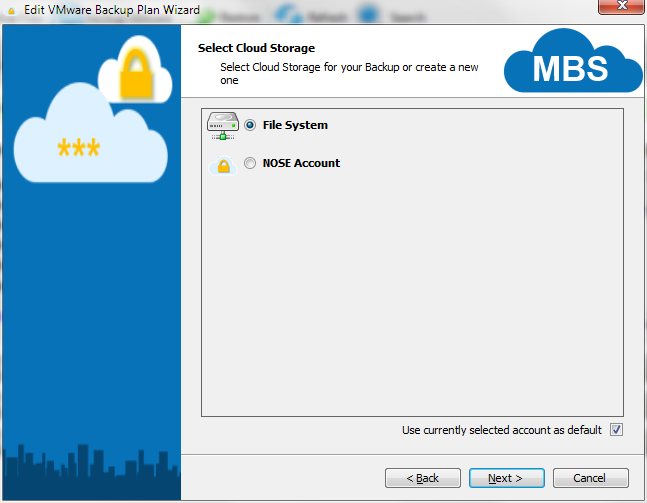 Click on the "Backup VMware" on the toolbar to start the VMware Backup Wizard. Step 4. 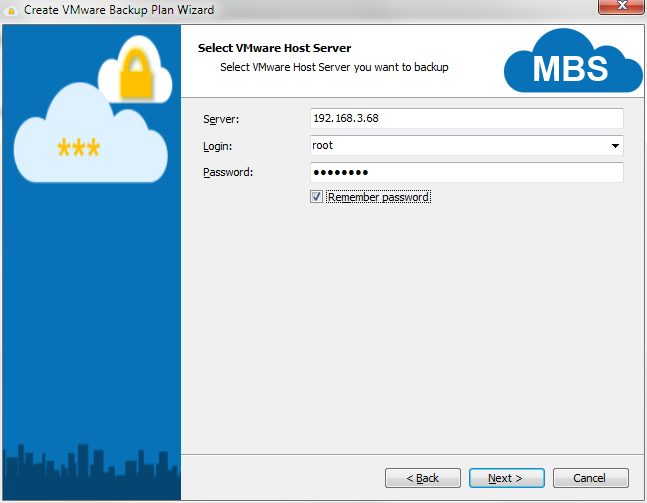 Select "VMware Host Server" you want to back up and specify login and password for access. It can be vCenter or ESXi Host and you can use IP address or machine/host name. If the target which you chose is vCenter then a list of hosts from the server will be requested, and the host can be selected from the list. 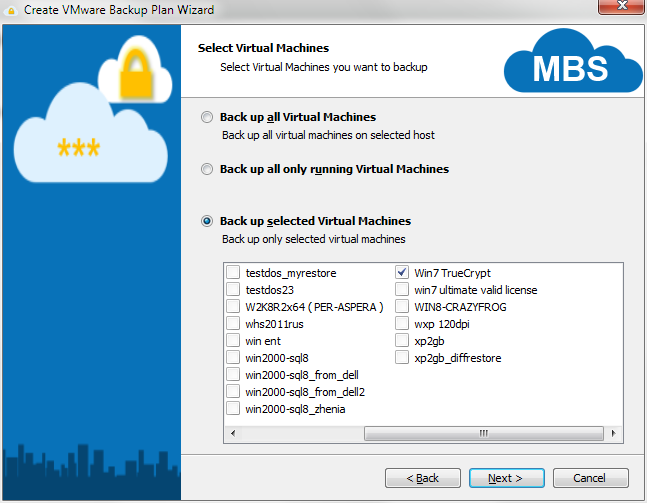 Back up all Virtual Machines - initiates backup of all virtual machines on selected host. Back up all only running Virtual Machines - initiates backup only of running machines on selected host. The stopped and not started virtual machines will be skipped. Step 9. 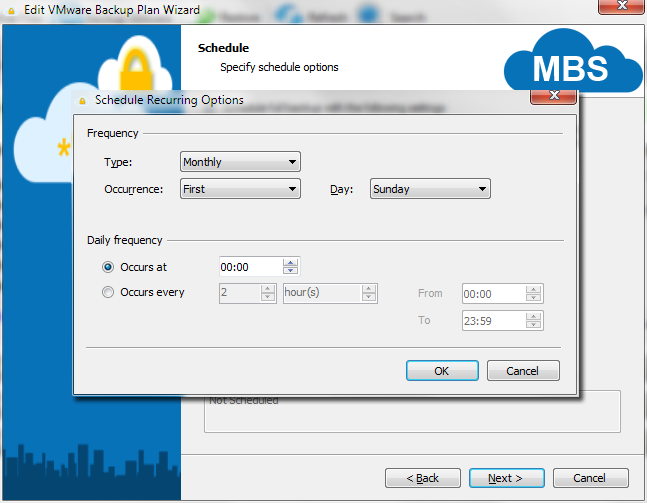 Specify the Full Backup Schedule options. Because block level backup is used it is strongly recommended to run full backup periodically. Otherwise you will not be able to purge out of date versions (differential backups) because of their dependency on an initial full backup.